Screen grab of CCTV footage released by ACT Policing. Police are asking the public to help identify a man who was caught on CCTV kicking in and squeezing through an automatic door of a residential block in Barton in June earlier this year. On Monday 25 June, police attended a residential block in Blackall Street after receiving a complaint about a man who had kicked in an automatic door. Police have obtained CCTV footage of the incident and are asking the public’s help to identify the man. 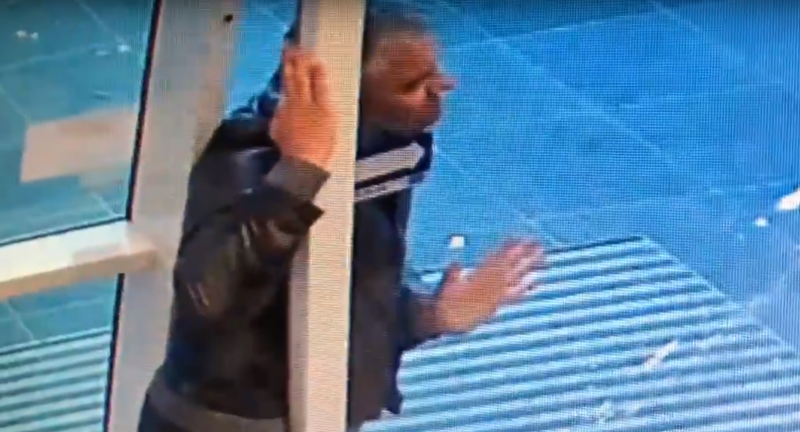 CCTV footage shows the man kicking the automatic door twice with his left foot, eventually breaking the glass, creating a tiny opening and squeezing through the gap. Please quote reference 6280415. Information can be provided anonymously.